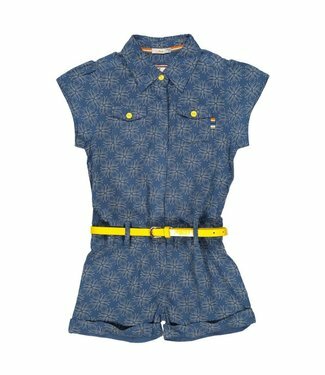 Blue - green girls jumpsuit of 4funkyflavours with a short sleeve and a short leg. With a nice all over print and yellow details. 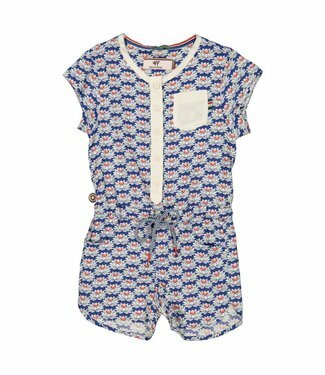 A blue colored jumpsuit with a short sleeve and short leg, The jumpsuite has a floral all over print and has a button closure on the front. A beige jumpsuit with a short sleeve and long legs. 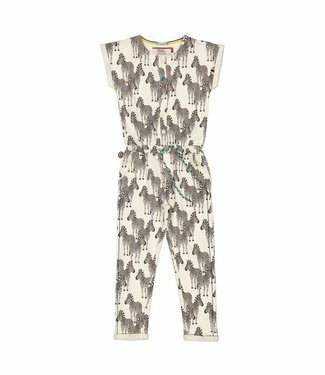 The jumpsuite has a nice all-over print of zebras. The jumpsuit can be tightened at the waist by the green string, with a button closure at the front.